Upon seeing a rather unsteady man stagger into the dock at Falkirk Sheriff Court last Thursday, Sheriff Derek Livingston asked solicitor Murray Aitken, “How sober is your client today?”. Mr Aitken responded that Ronald Cresswell, 19 Camelon Road, Falkirk, was as sober as he ever got. 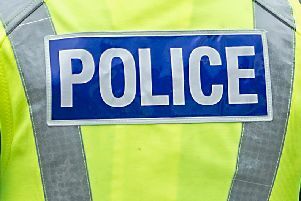 He had previously pled guilty to the charge of public indecency, exposing himself as he drunkenly urinated in George Street, Falkirk on October 13 last year. Cresswell (62), who had been subject to a 28-day assessment in Ward One of Forth Valley Royal Hospital to ascertain his mental state earlier this year, was fined £450 by Sheriff Livingston which he said he would pay back within 28 days.